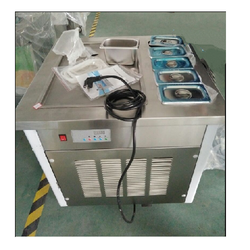 Our range of products include back bar chiller, slush machine, two door refrigerator, ice cube machine, fried ice roll machine and stainless steel mini refrigerator with compressor. Excellent evaporation design, few drinks when the machine capacity tank care to work. Smart control system can adjust the hardness of the snow mud. Cylinder can be individually controlled for each volume, assuming a cylinder drinks sold, you can choose the cooling off the tank, do not let it work. Personalized design, stylish appearance, flowing lines, the colors as you choose. 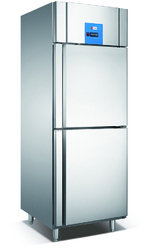 We feel proud to introduce ourselves as the well-known manufacturer and supplier ofTwo Door Refrigerator. 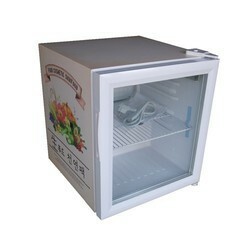 The offered two-door refrigerator is very commonly used for storing the food supplies at a low temperature. 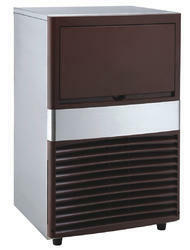 Our offered two-door refrigerator is operated by electric power. 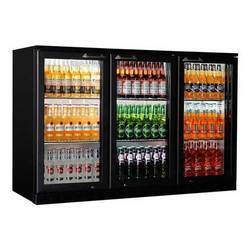 The offered two-door refrigerator is mostly used in homes, hotels, and restaurants. The machine is easy to wash and anti-corrosion. The ice cube is crystal clear and angular. The appearance is nice with long time storage. The refrigeration is fast and the energy consumption is low because of the high quality enclosed compressor with R134a refrigerant. The microcomputer-controlled system has safe and stable performance. Comparing with the other brands, our machines are more electricity and water efficient. The surface is made of the stainless steel and the inner box is made of the PP plastic. So the product meets the EU and USA foodhygienicstandards. The design of machine is advanced and elegant. In addition. the maintenance is very convenient. With sincerity and hard work of our experts, we have carved a niche for ourselves in this domain by manufacturing Stainless Steel Mini Refrigerator with Compressor.